Access our online library of prophetic training on Enliven Blog. View articles in our prophetic training category or use the search function for specific topics. The Enliven Ministries Prophetic School is now available online! View and enroll in our courses here. If you would like to ask a question, contact me here. See the overview of our seminars below. If you are interested in hosting a seminar/workshop/school, contact us via our speaking page. 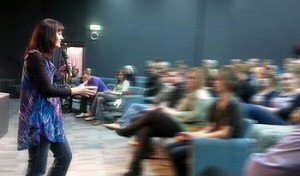 Consider hosting a prophetic school, meetings or seminar with Helen Calder. The purpose of these seminars is to help individuals grow in their ability to hear from God, as well as to empower a healthy prophetic culture in the life of the church. The time and program is flexible. However, we recommend you allow time in the schedule for activation; to put what is learned into practice. These seminars include personal prophecy and prophetic activation. Note: All prophetic activation is done in a safe, supervised setting. 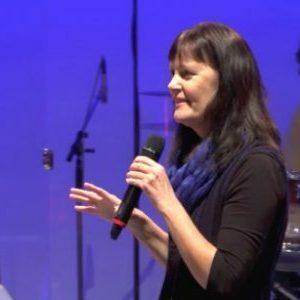 Helen Calder teaches from personal experience over many years of being involved with and leading prayer and prophetic ministry teams in church life. ‘Helen’s ministry was outstanding in every way. The Prophetic Workshop was a very significant time for our church. Helen’s approach was very empowering for all who attended. The feedback we have received has been very positive. The teaching was thorough, practical and biblical – it was delivered with passion and humility by Helen, and her own character and integrity gave the prophetic ministry authority that helped our people embrace it. Ps Simon Williams, Connect Church, Bendigo, Victoria. ‘Helen was involved in leading and coordinating our Prayer Department. During this time, the prayer area flourished and grew. She also developed training material and conducted seminars on prophecy, prayer and spiritual warfare, which helped strengthen this area in our church.